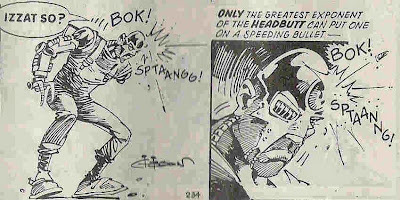 - including his work on those Daily Star Dredd strips reprinted in 2000 AD and the Megazine, but not the ones that weren’t. Gibson takes Sam Slade from age 60 back to age 25. 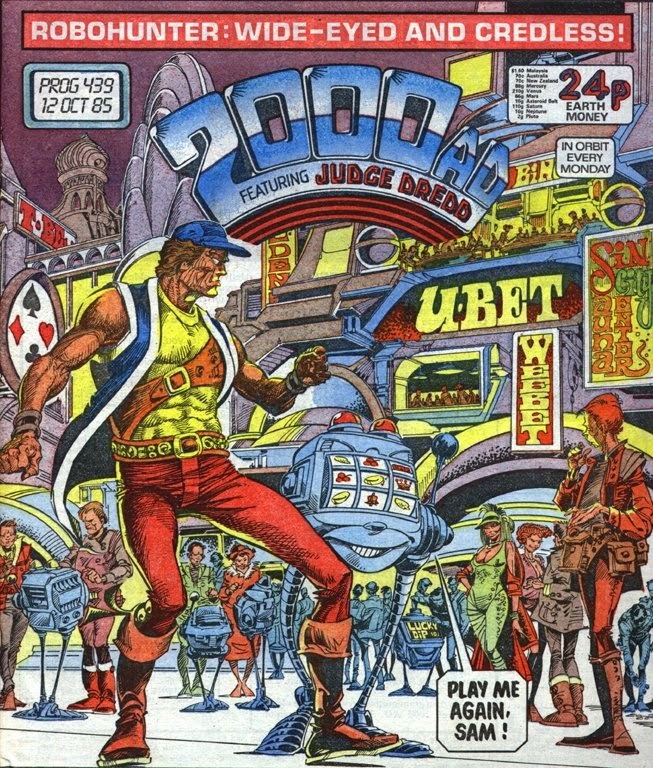 Judge Dredd – in fact, he’s one of the most prolific Dredd artists of all time. Stookies – the amazingly cute aliens that Dredd villains sometimes kill for their anti-aging hormones. 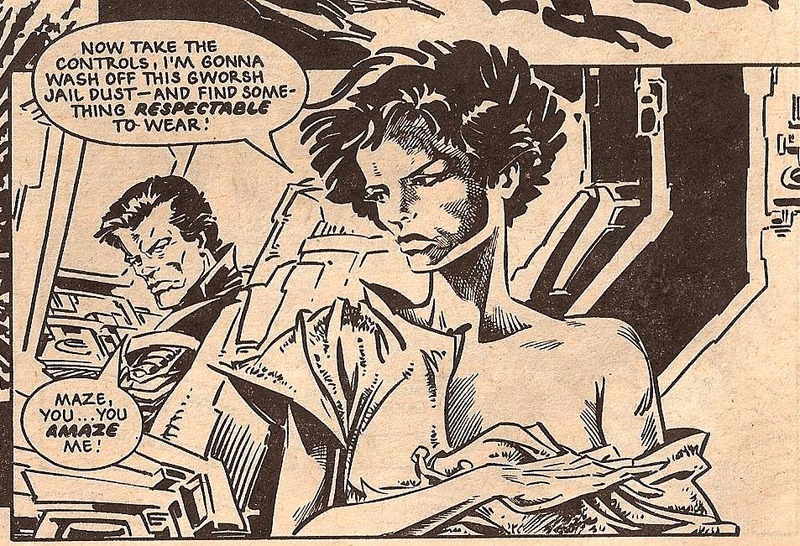 Maze Dumoir – sometimes billed as a precursor to Halo Jones, but she’s more of a Modesty Blaize, no? Just the best at drawing comedy robots of all shapes and sizes. Curvy hips. Pouty lips. Wavy hair. Does a mean line in shocked and surprised faces. Not afraid to exaggerate and caricature for comic and indeed Sci-Fi effect. 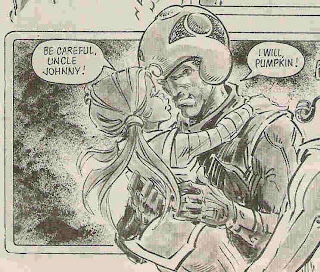 (Just think about his clothing choices in RoboHunter and Judge Dredd). Occasionally deciding not to draw the rest of a story if it’s not up to much ( I'm looking at you, Project Overkill, Wolfie Smith and Samantha Slade...). Tiny robots stabbing people: nobody does it better. 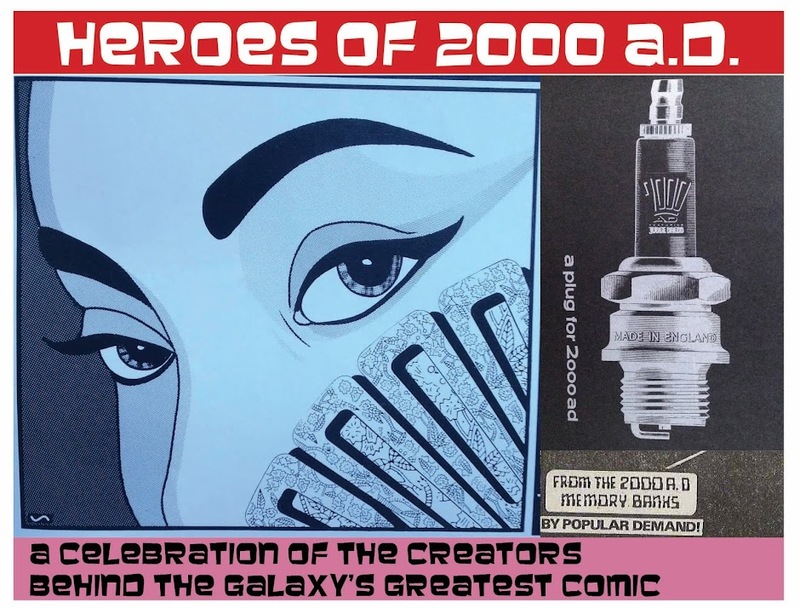 Another of Tharg’s mainstays, Gibson was a regular fixture pretty much from the get-go all the way until the late 500s, and even then, he has gifted the readers with a story or two most years up until the recent past. 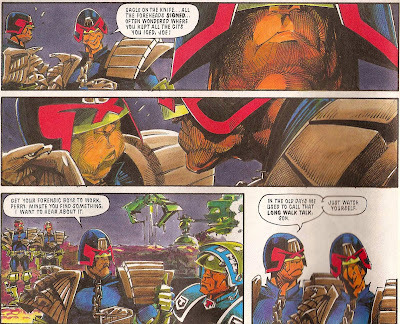 For reasons I don’t fully understand, he’s less celebrated than some others (McMahon, Bolland) as a Judge Dredd artist, but in fact he was on hard rotation along with those two legends from the beginning, and carried on well after they’d got bored with / too expensive for Tharg. As well as presenting a curvier Dredd, Gibson deserves credit for putting a lot into some properly weird futuristic building and vehicle design. 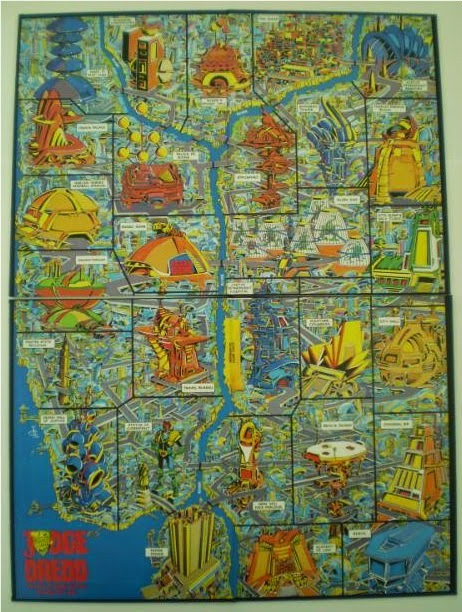 Indeed, I think it was mostly his background designs used for the fondly remembered Judge Dredd board game. 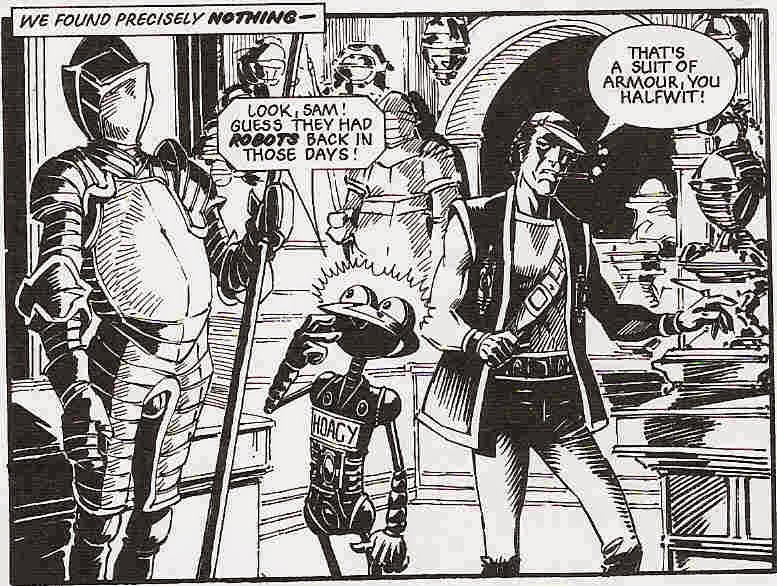 But where his Dredd is less talked of, Gibson is rightly revered for his years of work on Sam Slade: Robo Hunter. Slade himself is a fine character (basically a Bogart-version Sam Spade rip-off), but really he’s a foil for a bizarre world populated by robots with more-than-human personalities. The thing is, Gibson seems to have a unique way with robot character design. It’s maybe to do with a lack of fuss about the engineering behind how a robot might be constructed (although they do work, mechanically speaking), instead focussing on how to convey body language and facial expressions that are both mechanoid and humanistic. That, and the fact that his brush work has a real sense of flow, which imbues inorganic robots with a very organic-looking movement. (The same trick works just as well on dead bodies, as seen in Return of the Taxidermist.) It’s graceful and it’s often hilarious, too. 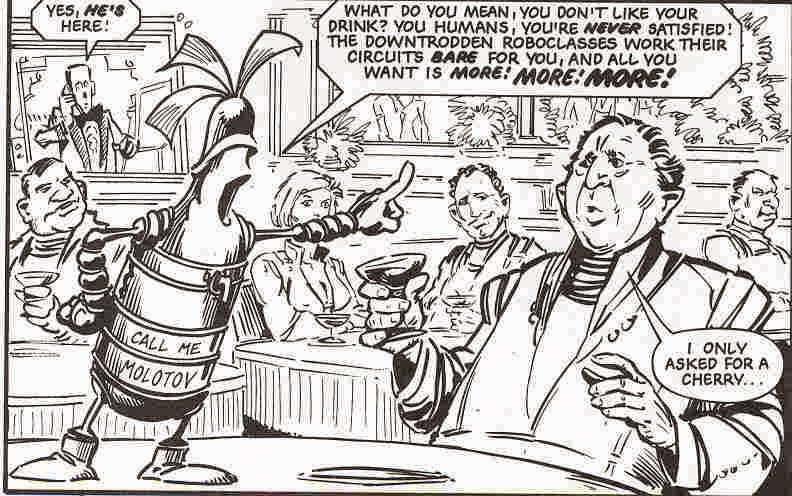 Because a robotic cocktail dispenser has to be called Molotov. 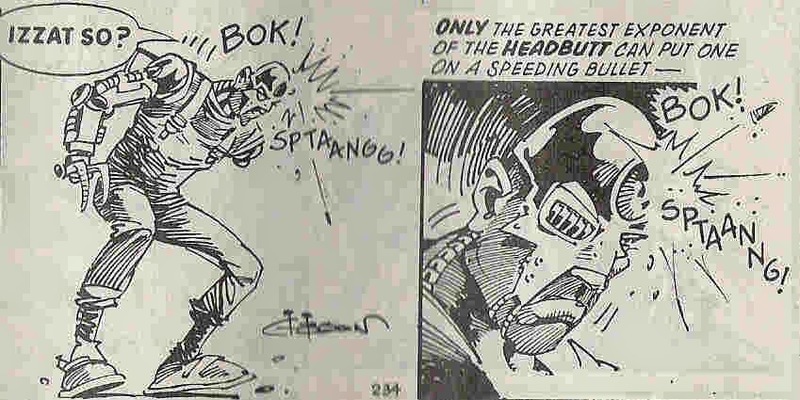 Gibson’s style has matured and developed a lot over his 2000AD career, but if there’s one thing that didn’t really change it’s this sense of grace (and the facility with robots). He’s a rare breed of art droid who’s had a go at mimicking wildly different styles, called in to sub on both an Ezquerra joint and a Belardinelli – which means not only testing your own imagination to come up with new background characters, but also using pen and ink with incredibly different techniques. 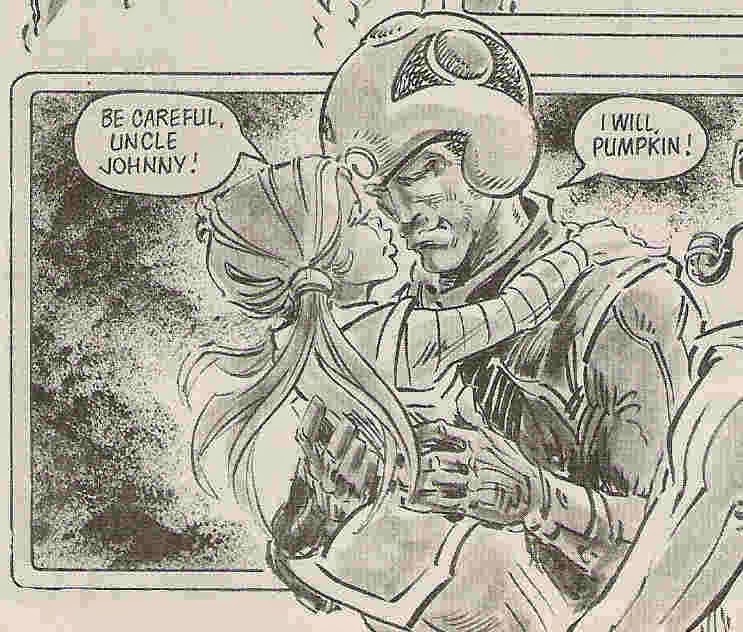 Just Like Joe Dredd, Johnny Alpha has a secret niece, too. 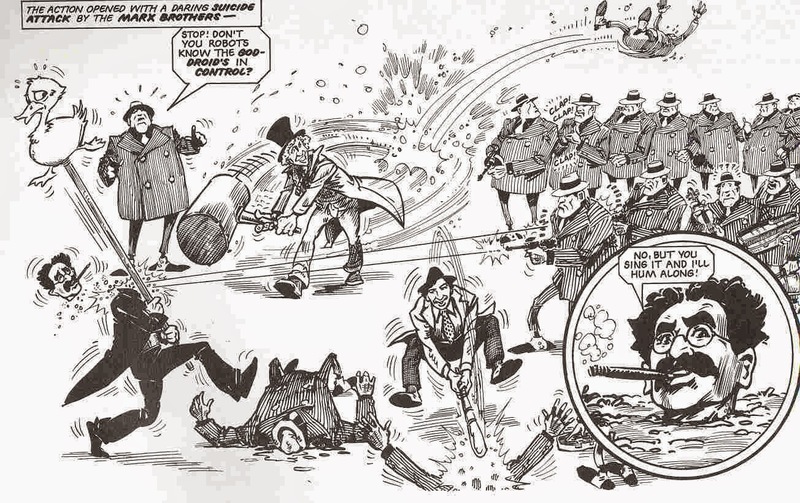 For a set of three books that were printed within a two-year stretch, it’s amazing that both Moore, and especially Gibson, managed to develop the mood and style so much. Book 1’s Halo has never left her home town, and certainly hasn’t had a huge variety of life experiences. Book 2’s Halo is in a new world, with a new attitude and look to match but still very much in a single setting. 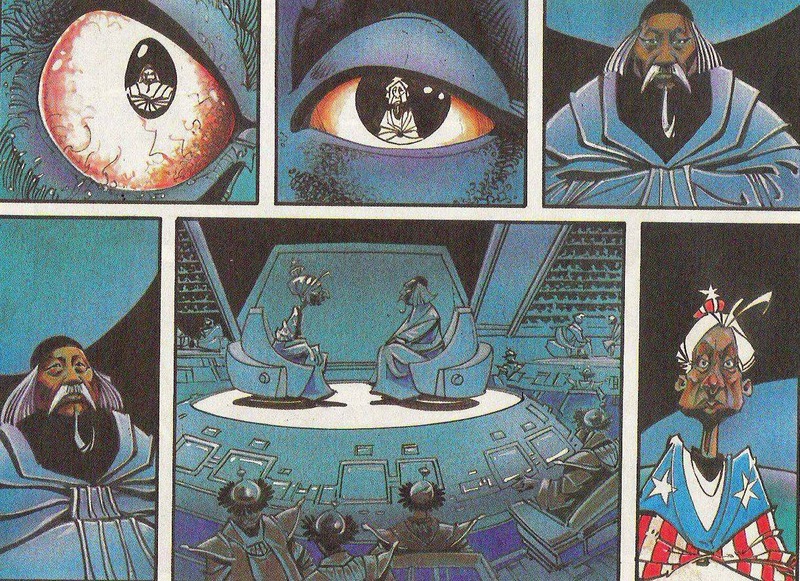 And then by the time Book 3 rolls around, Moore and Gibson have chucked her all over the galaxy, and the life experience that brings shows in the very art. I’m not the first person to point out how lush Halo Jones Book 3 is, but by God it’s worth saying again. Sam Slade is old in this story. 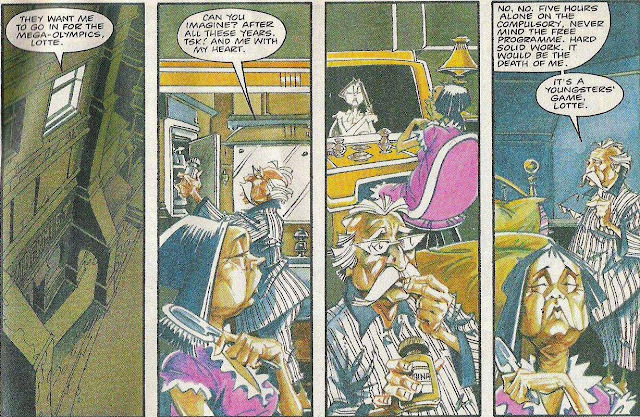 Gibson made a glorious return in the mid-90s with Return of the Taxidermist, one of the very highest points of Volume 2 of the Megazine. Hilarious and poignant at once, and of course, the first outlet for the sport of staring, a surprising spectator delight. Also, delightfully posed dead people. Yes, Lotte is stuffed. Amazing work from Gibson - it's a series of still pictures showing one living being in motion, and one dead person captured forever in a single act of motion. ...he was less bothered about drawing teenagers. I mean, I know they're meant to be Marlon Brando 'the Wild One' style biker teens, but still. Washing away the memory of Mark Millar’s Robo Hunter revamp, Gibson returned to the series, some years later, with Samantha Slade. Honestly, for an artist renowned for his drawings of women and robots, this series should have been an winner. Some readers love it, of course, but it has rather sunk without trace, basically because Gibson didn’t want to work on it any more and for whatever reason, no other artist has quite managed to capture the Slade spirit, despite some valiant efforts to be explored in other entries. Samantha Slade, a chip off the old Slade block. When Gibson puts the effort in, we get glorious pencil paintings. Amazing! 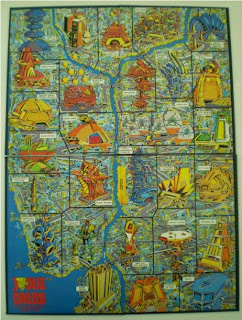 Halo Jones: all of it. 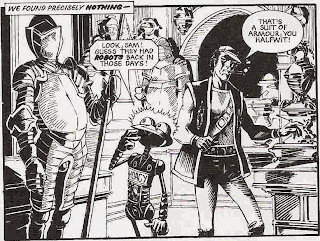 Couldn't end without a nods to Gibson's nudes - he's got life drawing skills, that droid. 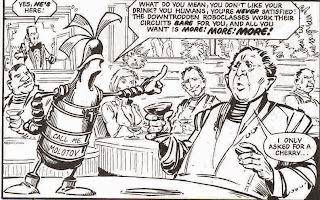 *Robo Hunter was in fact drawn by Jose Ferrer in its first episode, thereafter inked and almost immediately entirely drawn by Ian Gibson, one suspects because Ferrer couldn’t manage the pace of a weekly comic. It seems mad in hindsight to imagine Gibson wasn’t given the gig in the first place, really. So anyway, while he didn’t conceive the look of Sam Slade, he basically created, visually, everything else about the series. **and in fact consistently has had ever since, albeit not as often as it could, and not often enough with multiple female-led strips in the same prog. ***As I suspect is the way with a lot of readers, it was actually my big brother’s Prog. I dipped in and out of his collection for the next few years before becoming a true fan and weekly devotee around Prog 650 and the start of the Dead Man / Necropolis saga. The good thing about older brothers is that I didn’t have to take out my own personal 2000AD subscription until I think Prog 1279 or thereabouts!